Known as “The West’s Most Western Town”, Scottsdale, Arizona creates a great atmosphere filled of endless tourist activities, headquarters to some of the most distinguished businesses in the United States and a growing number of technology companies. With The New York Times naming downtown Scottsdale as “a desert version of Miami’s South Beach”, tourists from around the country come to experience the award winning resorts, fine dining and its rich Western history. True West magazine ranks Western Spirit: Scottsdale’s Museum of the West as the top Western art museum in the country. More than 9 million people a year come to see what Scottsdale has to offer. It’s a pleasant environment for downtown festivities such as high-end nightclubs and restaurants along with outdoor adventures like traveling through the Sonoran desert, which includes hiking trails and whitewater rafting. Because of this expansive list of things to do in Scottsdale, tourism generates an economic impact of 3.7 billion. As a center for art in the US, Scottsdale is home to more than 125 professional art galleries and studios. With The Scottsdale Museum of Contemporary Art and the city’s annual Scottsdale Arts Festival, the city strives on its colorful culture and community. Companies like GoDaddy, Citation Technologies Inc and more are headquartered in Scottsdale and display the success in business for this vibrant city. With a business cost rate 40% less than California, this area’s workforce is strong and shapes a thriving economy. 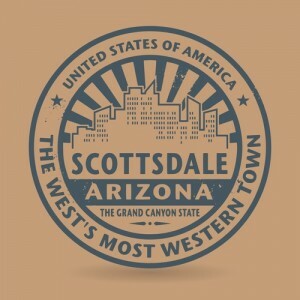 Ranked as one of the best cities in the US to launch a startup, Scottsdale creates a great connection between its community and its entrepreneurship. SkySong, The ASU Scottsdale Innovation Center, is a perfect example of this bridge between Scottsdale community, its entrepreneurs and students. Companies around the world come together in an environment that allows them to interact with the community as well as grow as a business. Home to over 13,000 companies with at least $5 million in annual revenue since 2010, Scottsdale encourages young professionals and entrepreneurs to start their businesses. Forbes ranked Scottsdale as one of the top cities winning the battle for information jobs behind San Francisco and Silicon Valley. The compelling aspect for Scottsdale though is tech workers can enjoy lower home costs than California but still work in a thriving technological industry. If you’re interested in having a local phone number for the Scottsdale area, click here. So what are exacty the benefits of having that local number?